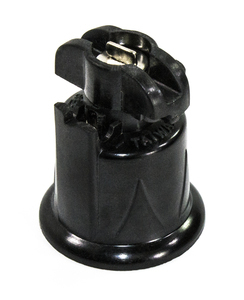 Field replaceable E17 socket (for C9 type bulbs). Black bake light material for durability. Easy on the fingers twist-on bottoms. We recommend using our AVM 14 gauge twisted pair wire. Sold 50 per polybag.